Wow. 10 years! We are humbled and excited to reach this milestone. When we started, we had no idea exactly where this was going to go. We had so many ideas, but we weren't sure if we could bring them to life. After 10 years we're a little floored at how we've become an integral part of the arts community. We feel like we're contributing to our community by employing a roster of 20+ local musicians and composers at a high level of artistry to tell stories through music to our community. We've been looking at some old pics, and we thought it would be fun to share! Our first performance ever, at Saxquest. Playing Scaramouche by Milhaud. Founding member Adrianne Honnold on Alto Saxophone, who has since moved to Europe, made us one of the a very few chamber ensembles in the country to regularly include saxophone. 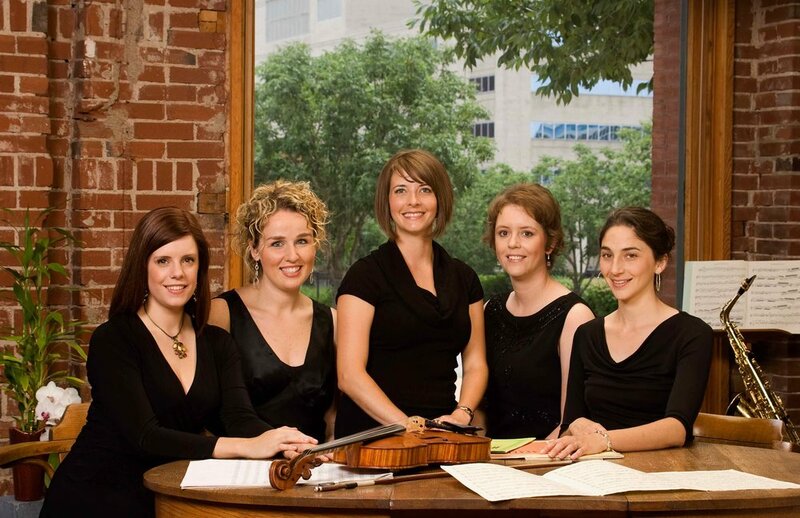 Laura Ross, oboe, was one of our founding members (center). She's now working full time at Maryville University and has two beautiful children! Thanks Laura, for everything you did to get us started! A little more our style! Who knew photo shoot locations would be such a challenge!? Luckily, Brandon Krepel, a friend and photographer, had some great ideas. This is actually in Adrianne's apartment in Soulard - south facing with a brick wall - it worked and most importantly, it was free. After a few seasons, we had a mailing list! This was the first brochure that we sent. We designed it ourselves and it took about 50 hours, or so it seemed. Quite a learning curve! Lucky for us one of our board members is a marketing professional and gave us a ton of advice. Early experiments in playing in bars. 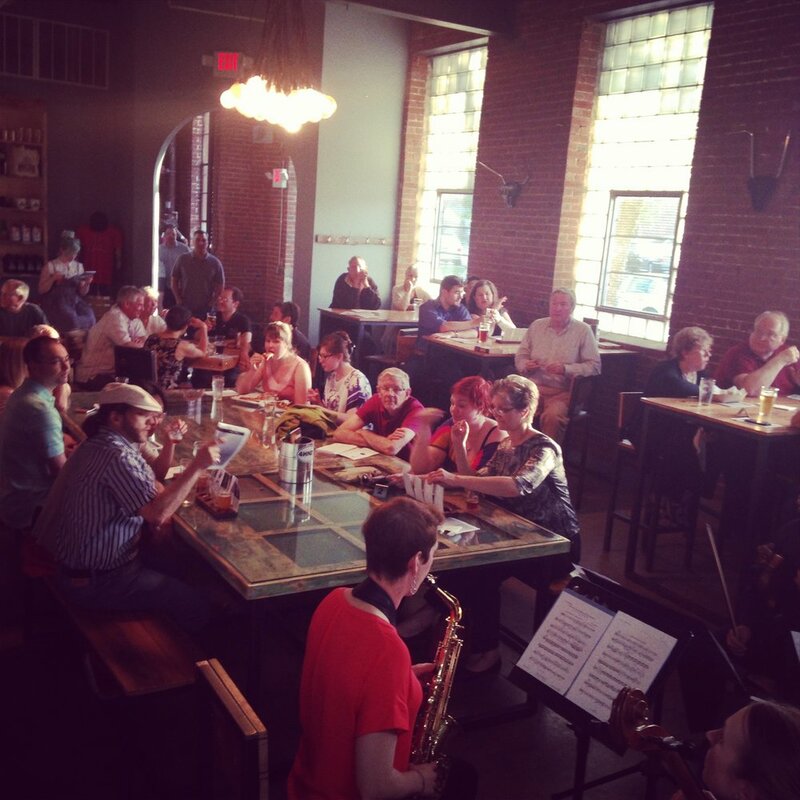 We knew we wanted to play in bars and taverns, but finding one with a piano and the right seating was a challenge. The Wine Press was one of our early adventures. The piano was awful, but the wine was good! I wonder what we asked them? Maybe the wine was too good. Many good memories of nights at The Tavern of Fine Arts. How we miss it! 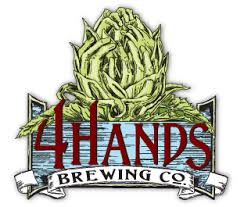 4 Hands Brewing Company is a fun venue, but we quickly out grew it. So we found a bigger bar, and brought a marimba. And a harp. The Chapel Venue has been a key part of our success! Providing a home base and an awesome vibe. Early on at The Chapel the warm up room was also the nursery. Perhaps our first Audience Choice concert! 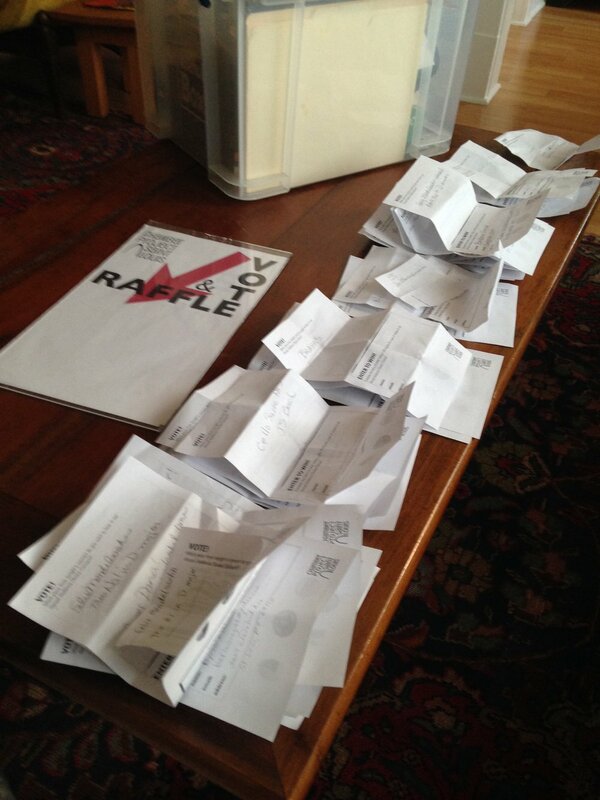 Counting the votes for Choice! A full house for Choice! Another Choice concert. This is an amazing group of musicians. So dedicated and talented! Another talent: Board President Andrea Tharin is also an artist! As we've grown we've been able to work directly with living composers, and feature them in their own words on our blog as often as we can. 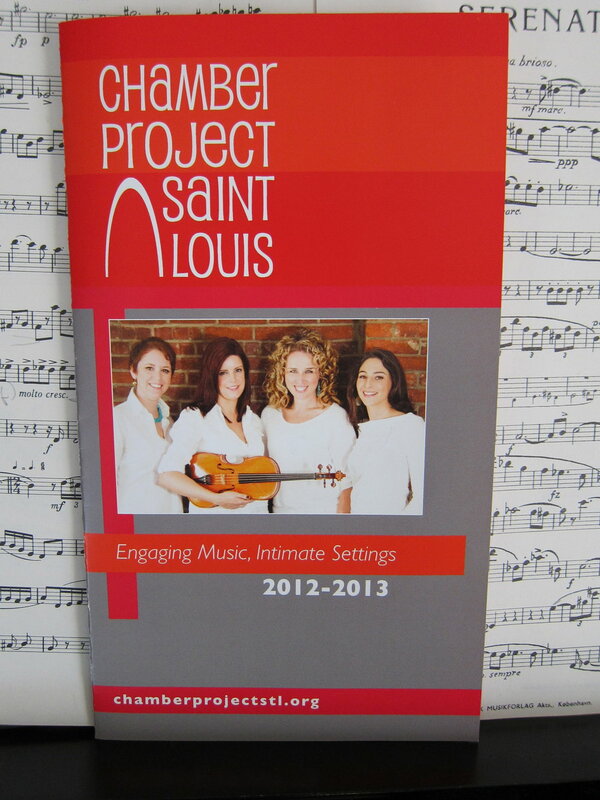 In the past few years we've started commissioning new works by local composers. Here we are before the first rehearsal ever of Nocturne by Stephanie Berg. We continue to build new partnerships and tell important stories. 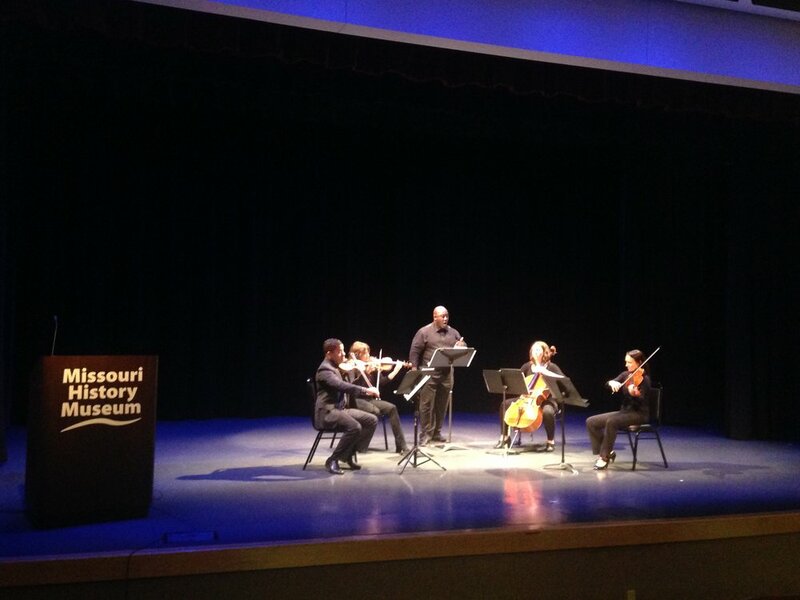 This fall we performed as part of the #1 in Civil Rights exhibit at the Missouri History Museum. Premiering a work about Dred Scott titled The Devil and the Law by local composer Adam Maness. Another new venture: bringing the audience on-stage with us at the 560 Music Center. There are many more photos and even more great memories. Thanks for sharing this journey with us. We look forward to the next 10 years! Join us on February 11 as we celebrate with a part at The Schlafly Tap Room. Check out the events page for info and tickets!